Yesterday, (February 2 Groundhog Day), large weather forecasting rodents were dragged from their comfy burrows to render long-range forecasts. 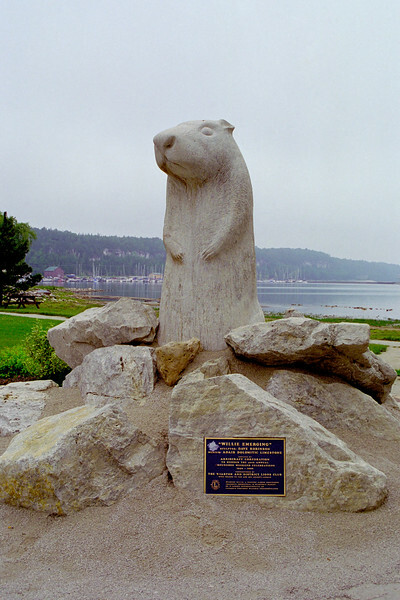 The most famous of the weather rodents Punxsutawney Phil hails from Pennsylvania but Phil has an exotic lesser known albino rival Wiarton Willie. Bill Murray hasn't made a movie about Willie and his "forecasts" are not broadcast to credulous nitwits but Willie has an ace up his paw. He's completely white. Yes, we are talking about white groundhog supremacy! If that isn't worth a pilgrimage to Wiarton Ontario what is?